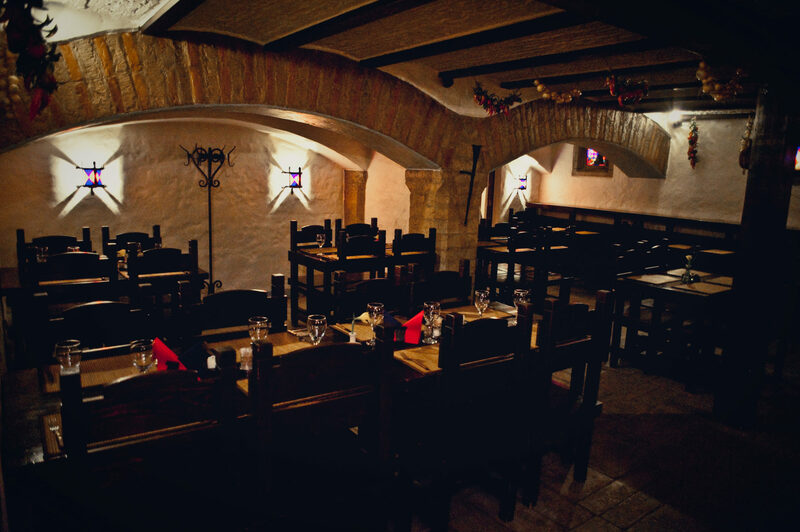 Hidden in the Medieval archway between Vene Street and St. Catherine’s Passage, the Monk’s Cellar is a mix of stone floors, heavy wood and hanging garlic cloves. Stained glass depictions of monks add an extra touch of colour to the décor. The menu here is European, with choices like frogs legs, German potato salad, Chateaubriand and turkey fillet.